So one of my friend is learning baking these days and she is trying her hands on various types of cakes and chocolates. We together look for various recipes. 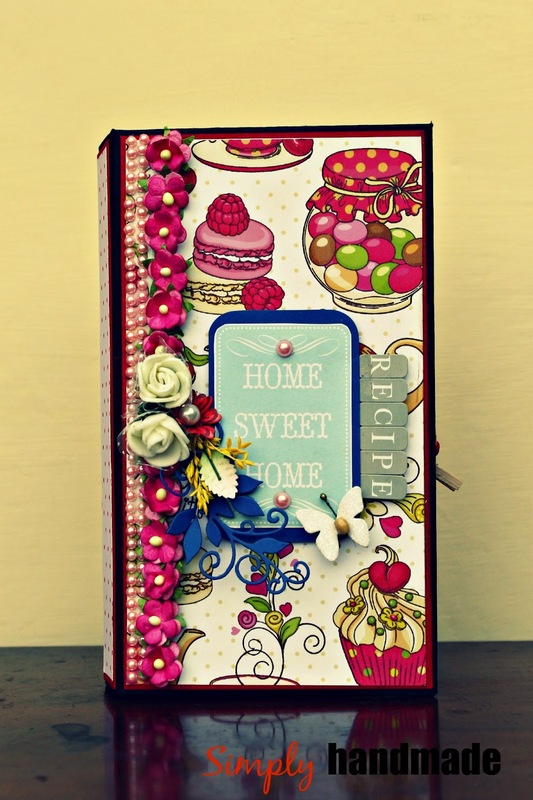 When Lulupu came up with this monthly Challenge, a recipe mini album is what is struck me. Since she is learning deserts , so I wanted to make it look more on that line and also matching the challenge theme. Papers are from craftslane matching the theme of deserts, sweets, cakes and chocolates whatever it takes. Its a 8x5 mini album made out of medium weight chipboard. Whole paper color theme is pink and red as per the challenge. Left side has a waterfall which she can put the pictures of the made dishes and right side of the album has a small pocket to hold the recipe cards. The Recipe cards made from white CS , which are stamped and colored using distress ink. 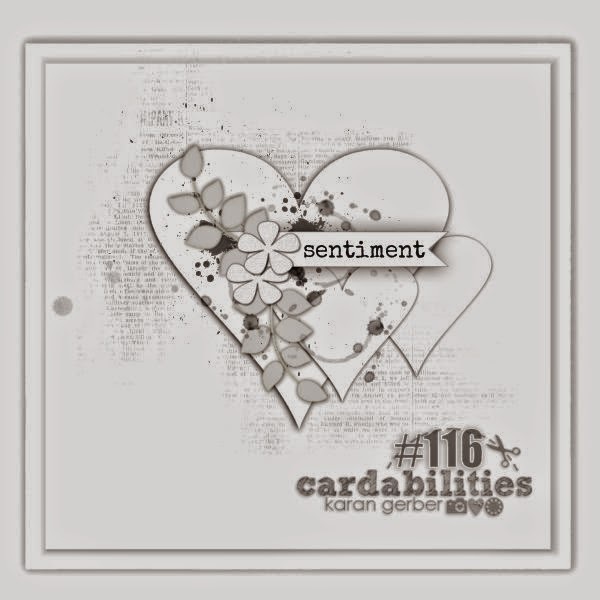 Today I have a card for Cardabilties. 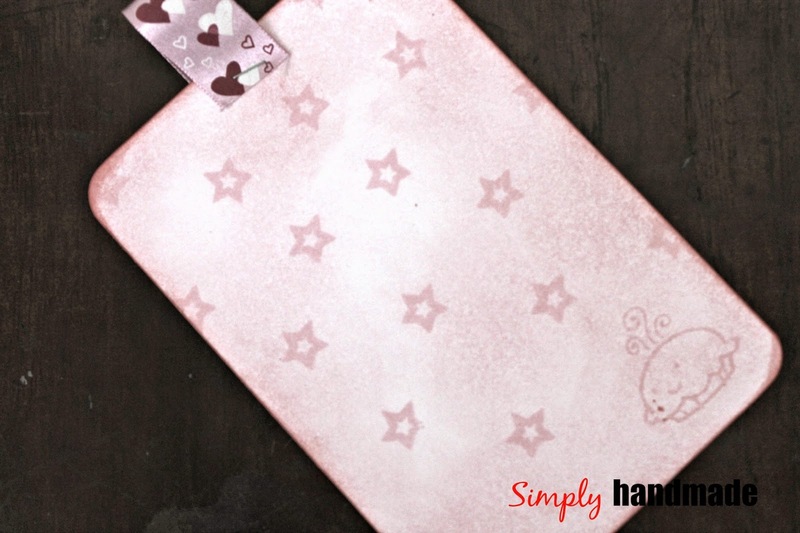 The background is made from a white embossed sheets with the pretty lil hearts. I coloured it with red and pink distress ink. 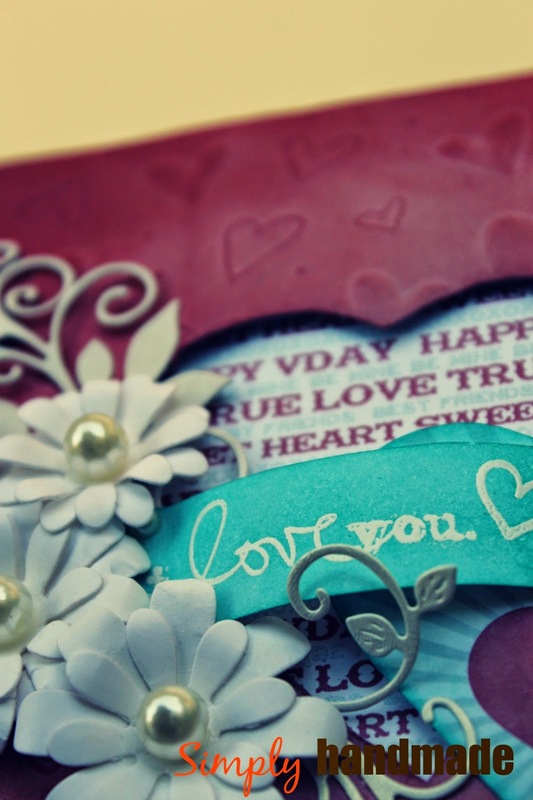 The hearts are cut with a cookie cutter and some are fussy cut :) and I love the way it has come out as I did not have any cutting dies for the hearts. 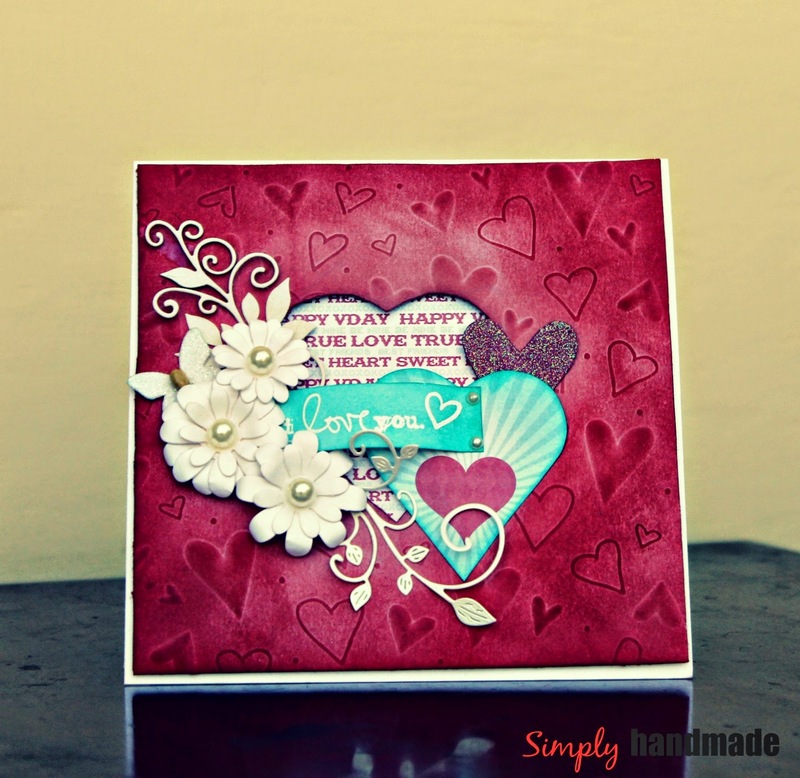 The flowers are all handmade from heartfelt creation daisy dies and the sentiment from Lawn Fawn stamp set.